Baby registries aren't just about selecting the swoon-worthy nursery items that Pinterest dreams are made of. Read my baby registry checklist and the top must-have items for city parents. I always thought that creating my baby registry would be a breeze – who doesn’t love shopping for adorable baby clothes? But less than 24-hours after starting the process, I found myself deep in the rabbit hole of baby merchandise and consumer reports. In addition to feeling completely overwhelmed, I quickly realized that the most common nursery items that splash over the pages of Pottery Barn Kids don’t necessarily fit within the confines of a New York City apartment, nor do they jive with city living (where do you put the car seat, when you don’t own a car?!). Simply put: Baby registries are way more work than selecting the swoon-worthy nursery items that Pinterest dreams are made of. 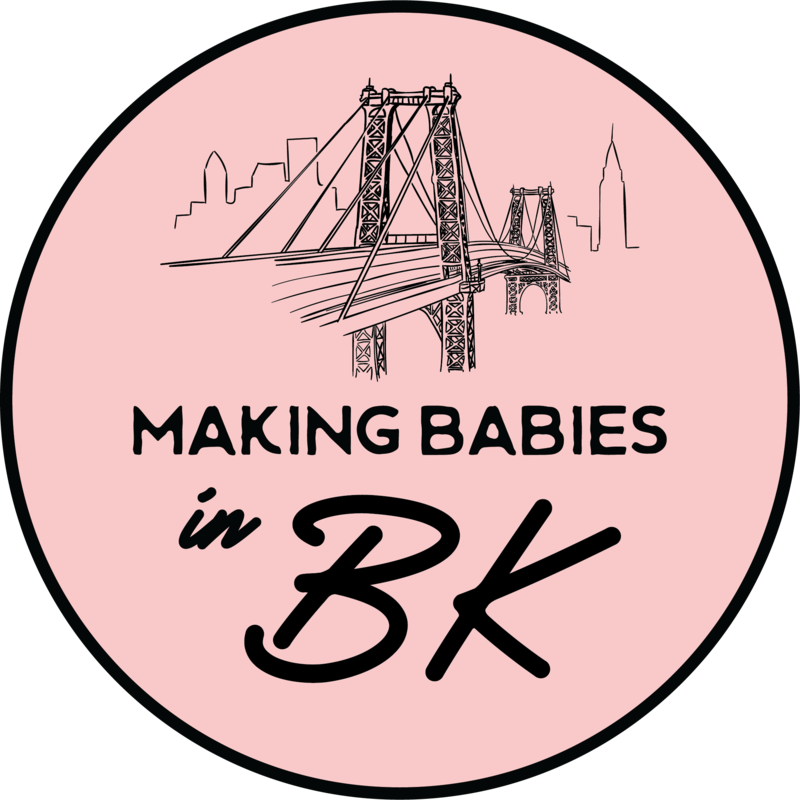 A few days of research, list-making, and some good old fashion recommendations from my fellow city moms and dads, I compiled a comprehensive baby registry checklist that covers all of our bases for baby, but is also specific to meet our needs as city parents. Read below for all the details of the best baby registry checklist and the top must-have items for city moms and dads! Creating a baby registry is as simple as opening your laptop and signing up for an online registry like Buy Buy Baby or Amazon. Except it wasn’t for me. Before I could accomplish this simple task, I felt it imperative to understand exactly what I needed for baby, and then determine which registry platform would best support that. You’ll be able to nail that down by following these simple steps. Make a List: A quick Google search of “what’s needed for baby” yielded several helpful registry checklists. I combined a few of them into one larger list and then broke down everything into the following categories: Nursery, Linens, Diapering, Clothing, Feeding, Cleaning/Bathing, Travel, Play, & Health. Fill in Your Categories: I then started brainstorming which brands I would like for each category based on our personal taste and lifestyle, plus all of the great recommendations I had received from friends. This led me to a better understanding of what registry platform was right for me. TIP: You may pick different registry platforms for different categories, like Pottery Barn registry for all your baby furniture and Buy Buy Baby registry for the every day items like clothes and diaper gear. Do they charge a shipping fee? Since you’re already asking family and friends to purchase items for you, saving them the cost of shipping is a thoughtful touch! Are they easy to navigate and filter between what’s needed / already purchased to avoid duplicates? There’s nothing worse than having multiple people buy you the same gift and opening them at your baby shower! Avoid this cringe-worthy moment at all costs! Will your guests feel comfortable providing their billing details? (a big plus for Amazon, since most online consumers already have an Amazon account with their billing details saved). For the reasons outlined above, we decided to go with Amazon Baby Registry for our online registry platform. Our Amazon Prime membership ensured free shipping for all who purchased our registry items; the platform is incredibly easy to navigate and display what’s been already purchased; and most of our friends and family already have their billing details saved with this retailer. The standard-sized crib will take up an entire wall of your nursery – yet baby probably won’t sleep in it until much later. Unwilling to dedicate that much precious space to an item that will sit empty for a few months, I knew I wanted a convertible crib that would grow with baby. I also wanted an oval shape – rather than the boxier rectangle shape – that can easily slip into a nursery nook or bedroom corner. Bonus points if the crib comes on wheels, which makes moving it for further space saving options a cinch! There’s no reason to dedicate half your nursery to two separate items when one smartly designed piece can play double duty. Select furniture items that are multi-functional, like a dresser that doubles as a changing station or a loveseat that converts into a sleeping option for guests. The same goes for spaces. We took the doors off our nursery closet, wallpapered the interior, and put the changing dresser into that nook. The closet now functions as both a traditional closet (with a shelf across the top) and a changing station that also holds all baby’s clothes! Life in the city means jumping into taxis, Ubers, subways or busses. Most city dwellers don’t own cars, and if they do – they don’t use them frequently. But no matter if you own a car or not, you absolutely need a car seat for your baby when traveling in any vehicle or mode of transportation. There are several options out there, but the best travel system for city babies is a car seat that can go from a taxi to the street in one easy click. When the weather permits, weekends in the city are spent outside of the apartment, strolling through the neighborhood until the sun sets. From groceries to soccer balls to even the family pet, everything gets loaded into the weekend stroller – and you’ll need to select one that’s up to the task! Consider a stroller that has the extra-wide basket to accommodate your weekend things, large, shock-absorbent wheels to handle the uneven city streets (and cobblestones!) plus the built-in sturdiness that will ensure it won’t tip over from the extra weight of a grocery bag…or three! People that live in a city walk everywhere! This is probably the reason why I see so many baby carriers adorning moms and dads on the streets of Brooklyn. Why lug a stroller up and down several flights of stairs when you can simply place your baby on your body and walk to your destination (almost) like you normally would?! Gliders tend to be pretty bulky and the ottoman as a separate piece takes up even more room. We chose our glider based off the article “The top 10 narrowest nursery gliders for small spaces” and its small footprint is perfect for our bedroom corner! Standard high chairs have a very large footprint and aren’t needed with an infant. This one from Inglesina is slim enough for small city apartments and also doubles as a travel solution! I also love that it can go onto your dining table or your kitchen bar – and it’s super lightweight to boot and comes with a handy carrying case! Smells tend to linger longer in apartments and are definitely more noticable! Baby’s dirty diapers should go directly down the trash chute, or be held in a small diaper pail that is emptied regularly. Avoid diaper services that only pick-up weekly, or larger diaper pails where the diapers can pile up! Closet space – or lack thereof – is always a problem in city apartments. Rather than clutter your already crowded closet, store things right in the nursery with decorative storage bins or hand-woven baskets. Anything from linens, to baby carriers, to diapers can be tucked into these pretty spaces! Baby registries might be more work than we bargained for, but with the right list, online registry platform and picks for your lifestyle, you’ll be onto the fun shopping and cute baby gear in no time.